An exotic dancer's personal and professional lives are catastrophically blurred after a dramatic coincidence at a private party. A man takes his dog for one last walk. A successful young couple finds their happy marriage unhinged by a disturbing secret. A boy has a dream...or is it a nightmare? 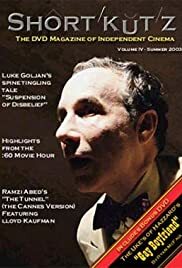 I saw this film at a San Diego Cinema Society showing in the fall of 2004 and found it gripping from beginning to end. It personalized the many attempts to cross from East to West Berlin during the period immediately following the construction of the Wall in the 1960s. I certainly did not find it boring. Everything from the sets to the exteriors showed attention to detail and period authenticity. The subtitles were easy to read (if you don't speak German). You truly cared about the characters and could understand their often different and conflicting motivations for their actions. The fact that it is based on a true story makes it even more compelling. I look forward to its release in the USA.